Click on the titles below to see the full range of services that ATAP offers. ATAP can also provides CEU-approved, custom, on-site courses and workshops. on any of our current or upcoming services. For information and costing on the Yatesmeter and our Pump, Blower, Turbine, and Compressor Equipment Performance and Efficiency Testing services, contact Sean Bolongaro or Thomas Hummel. Click here to see our full list of workshops. This seminar/workshop is aimed at the water professional using chloraminated water in a rural water distribution pipeline as their source of potable water. Depletion and adjustment of chlorine residuals in rural pipeline distribution systems will be covered in detail. The training will outline the newest technologies being employed in residual adjustment and testing procedures. Examples of real situations and processes will be discussed. 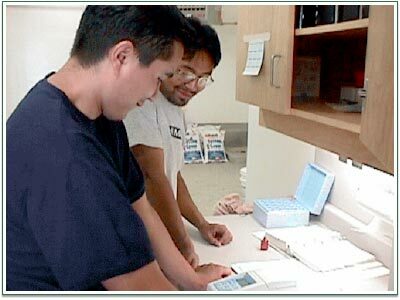 Topics include: chlorine curve, chloramination, chlorine residuals testing, BART test, and adjusting chlorine residuals. The workshop includes definition; work standards and procedures required to comply with OH & S regulations; responsibilities; precautions; planned entry; emergency preparedness; safety equipment; standby workers; isolating; cleaning; adequate ventilation; gas testing and calibration; and job completion. This may be required for both water and wastewater workers. This one-day workshop provides water and wastewater operators with the essential information for basic troubleshooting of their control systems. ATAP’s Electrical, Instrumentation and Programming technicians provide instructional expertise, have extensive experience in the design of municipal infrastructure control and electrical systems, and have been directly involved from start to finish in engineering, design, drawing preparation, system start-up, commissioning, and acceptance of instrumentation and control systems for a number of water and sewage treatment systems. In addition, workshop instructors have vast experience with multiple programmable logic controllers (PLCs) and have worked with most of the popular Human Machine Interface (HMI) and Supervisor Control and Data Acquisition (SCADA) packages. Workshop topics include: control system hardware, common terminology, PLC status indicators, metering a circuit, rationale for automation, communications and common SCADA screen navigation. The workshop outlines: filtration, theory, filter media, backwash management, filter maintenance and diagnostic techniques as well as operational problems and maintenance solutions. It also provides an introduction to filters; purpose, construction, operational problems, corrective measures, improvements and repairs. Course consists of information so that operational staff will be able to provide effective filter maintenance and operational optimization. It will give the operators the required understanding and awareness to effectively operate and maintain their filters. They will be presented with material relevant to effectively operate the filters, explanation and examples of optimization and surveillance methods useful in operation and maintenance of filters. Workshop provides attendees with why chlorine is used and with the skills required to ensure operational staff have an understanding of chlorine gas chemistry, reactions, dosage and demand calculations, contact time, measurements, application, collect samples, handling and safety. This includes maintenance of gas chlorine feed equipment, chlorine tests, and facility requirements. They will gain an understanding of chlorine equipment and proper operations, maintenance requirements, and proper safety practices. The workshop includes a practical session on container/cylinder changing, safety equipment usage, the hazards associated with working with chlorine gas, and startup and shutdown procedures. Information resulting from fire hydrant flow tests is used to evaluate the general condition of the water distribution system and to determine maximum available flows in emergency situations, such as fires. This one-day workshop, will train water operators on the procedures and guidelines as established by the AWWA for field testing of fire hydrant flows. Hydrants are a critical part of a community's distribution system and firefighting system. An operational understanding is required for fire fighters, street cleaners and water distribution operators. Safe operation of hydrants is emphasized with special consideration to preventing water hammer. This workshop provides distribution operators an understanding of the impact of hydrant operation on the distribution system, and the role hydrants play not only for firefighting, but also for distribution system maintenance (such as in water main swabbing). A community may have a collection of various hydrants from many different eras and a detailed understanding of maintenance is required for extending the lifetime of any given hydrant. Both the half-day and the full-day workshops provide practical sessions with hands-on learning. The half-day workshop is ideal for street-cleaning and firefighting staff, and the full-day workshop, which includes an extensive maintenance session, is suited to water distribution operators. Workshop includes proper hypochlorinator operation and maintenance, chlorine terms and definitions, proper chlorine dosage and solution strength calculations, sample collection procedures and interpretation of analysis results, as well as responding to test results. The course will also provide information on chlorine reactions and the effect of pH, temperature and alkalinity on chlorine residuals. The relevance of this training is to provide operational staff with the ability to monitor, prepare solutions and complete records for hypochlorite disinfection systems. Operators are to ensure the water supply system is in compliance with drinking water regulations and this course will give them the proper chlorine calculations, analysis and coliform monitoring procedures to maintain water quality monitoring requirements. Maintenance of the feed system will be presented along with the causes of failures. Equipment section presents operation and maintenance of pumps, injectors, solution tanks and tubing. The workshop is presented to provide operators with the skills required to identify the causes and sources of iron and manganese in the water system; the problems caused by their presence; removal processes; manganese greensand system operation, maintenance and safety; and methods of optimizing filter performance. Many water systems have problems due to iron and manganese in the water supply which causes colour, odours, and staining problems. Manganese greensand system operation and maintenance will be reviewed and methods of optimizing filter performance taught. Operators will also be taught safe handling of potassium permanganate. The jar test is a means of modeling a plant's flash mix, flocculation, and sedimentation processes in a one or two litre sample of raw water in a jar. Seeing the results of adding a range of concentrations of chemicals to a bench scale model allows the operator to select the best concentration within the range tested. He or she can then calculate the plant scale feed rate and set the plant up to operate at that best rate dosage. This one-day workshop includes theory in the morning session (coagulation, flocculation, and sedimentation; calculations; lab instrumentation and methods; water chemistry; determination of optimum dosages; and alternatives to jar testing for coagulation control). During the afternoon, each attendee will conduct a complete jar test. This workshop covers in detail the aquatic environment of a wastewater lagoon and the respective characteristics of aerobic, anaerobic and facultative ponds. Also covered are the theory and function of lagoon operation, lagoon design, development of proper lagoon O&M programs, as well as review of the Provincial Environmental Regulations. Calculations related to loading and discharge are demonstrated. Understanding the function of the equipment and process is vital to the proper operation and maintenance of a water treatment plant. This workshop will review the basic principles of membrane filtration and the parameters that affect its operation. The workshop will review the fundamentals and practical aspects of membranes. Topics included: raw water quality and its impact on pre-treatment and on membrane selection, pre-treatment, membrane operation, water quality analysis, system operation including backwash/flushing and clean-in-place procedures, system maintenance, instrumentation/controls, record keeping and review of MSDS sheets. A two-day version of this workshop is also available which provides added "hands-on" training onsite in a water treatment plant. This one-day workshop will provide water operators with information on potable water reservoir design, water quality regulations & monitoring techniques, problems associated with water storage, preventative operations & maintenance, methods of reservoir disinfection & cleaning, and daily reservoir operations, including seasonal changes. This workshop provides an overview of testing parameters in water and wastewater systems. There will be discussion of who and what is being protected and why, detailed instructions on good sampling techniques and the importance of timing and on the use of certified laboratories, overview of lab methods, discussion of each of the major parameters in the Canadian Guidelines, discussion of Cryptosporidium & Giardia and their lifecycles, choice of sample sites and pipe break scenarios, and chain of custody. This workshop is designed to assist plant operators in developing their own standard operating procedures for routine maintenance and operation of water and wastewater treatment plant equipment. The importance of developing a preventative maintenance schedule and documentation for succession planning will be highlighted. The difference between Standard Operating Procedures, Contingency Plans and Emergency Planning will be explored and templates for basic plans will be provided. Contingency Planning for critical events such as electrical outages, process upsets and source water upsets are discussed in detail. Workshop includes collection system overview; component descriptions, normal operations; problems and preventative measures/corrective actions; inspections; maintenance and safety considerations. Instruction includes mechanical treatment plants, lagoons, controls, pumps, equipment and building maintenance. The course will provide information so that operators should be able to monitor, observe and respond to changes in conditions within the collection systems and lagoon treatment facility. This three-day course is designed for individuals who wish to improve math and science skills prior to taking an Operator Certification Preparation Course. It focuses specifically on those skills and underlying concepts required in the water and wastewater industry. Mathematics topics include: review of basic arithmetic operations; order of operations and calculator use; fractions; percentages and ratios; linear, area and volume calculations; water and wastewater word problem strategies; working with formulae; dimensional analysis; metric conversion; dosage calculations; filtration rates, flow rates, and detention times and other industry-related calculations. Science topics include: hydraulics (force, pressure, head, grade lines); basic chemistry (water chemistry, ions & solutions, equations & calculations, pH, acids and bases); electricity (Ohm’s Law, watts, power, circuits) and microbiology & water ecology (specific to water & wastewater industry). This workshop surveys the pathogenic organisms that are potentially present in water sources and covers a variety of water disinfection methods, both for primary and secondary disinfection. Operators will learn to understand the rationale behind various sampling requirements and protocols, and the disinfection options available, along with an appreciation of the multi-barrier approach to water treatment. The workshop will look at water quality requirements for water entering storage reservoirs and distribution systems as well as the requirements at the furthest part away from the source. The effects of the system on water quality degradation and customer response will be discussed. Descriptions and maintenance of major system components will be presented. These will include pumps, motors, controls, storage reservoirs and water mains. The options regarding pipeline preventative maintenance will also be presented. Time for discussions and question/answer will be allowed at the end of the session. This workshop is presented to provide the operational staff an opportunity to learn procedures, materials and equipment necessary for swabbing, environmental issues in discharging effluent, quality control and monitoring, and swabbing safety issues. The workshop will also include instruction on the potential health risk from distribution systems that harbour bacteria. The workshop includes an overview of plant safety and the impact of safe and unsafe work procedures, safety equipment, working in traffic, trench and excavation to ensure operators are aware of, and can identify, potential hazards and are following necessary safety procedures in order to meet current labour and occupational Health & Safety Standards (OH&S). The utility worker should be able to return to work with the ability to recognize and avoid hazardous situations or to minimize the risk by implementing proper safe work procedures and safety equipment. Municipal councils/staff are often faced with difficult problems related to public works in their communities. These challenges involve juggling diverse factors such as fiscal restraints, liabilities related to provincial regulations and municipal bylaws, public relations, operations and maintenance schedules/budgets, and asset management. Indeed, public works is a major portion of any municipal budget. Furthermore, these issues often require specialized, technical knowledge. In times of crisis, such as during a Boil Water Order, these issues can prove very demanding and stressful to the decision makers of a community. Among the topics included are: roadway maintenance and signage; water and sewer systems including overview of responsibilities of Municipalities as outlined under the Provincial Acts, Regulations and Guidelines; landfills; public transportation; shops, equipment, and maintenance; and airports. How often should I test my pumps? We recommend a baseline test for new pumps, followed by regular performance testing every 3 to 4 years. Can the Yatesmeter test vertical turbine pumps? Yes. For vertical turbine pumps, temperature probes and pressure transducers on the suction side of the pump are lowered into the wet well. Can the Yatesmeter test wastewater pumps? Yes. All of our equipment is thoroughly cleaned before and after every test. Can the Yatesmeter test turbines? Yes. We offer Yatesmeter efficiency testing services for turbines as well as pumps. Is the Yatesmeter approved for pump testing? Yes. The Yatesmeter is accredited with the ISO 5198 code for hydraulic performance tests. for maintaining pump performance, the challenge is knowing when to do these refurbishments. The Yatesmeter is a state-of-the-art pump performance testing system, developed by Advanced Energy Monitoring Systems Inc. (AEMS). Using their Yatesmeter technology, AEMS has tested more than 12,000 pumps over the past 25 years. The Yatesmeter measures pump efficiency using a thermodynamic method. Temperature probes and pressure transducers, placed on the suction and discharge sides of the pump, measure energy losses dissipated as heat. Advanced software programs (PumpTest Software© and PumpGrafx Software©) generate pump performance curves from Yatesmeter data, including efficiency, power, and head-flow curves. For heads above 30 metres, the Yatesmeter achieves 99% accuracy on efficiency measurements. To prepare for a Yatesmeter test, we work with our clients and site operation staff to ensure that suction and delivery pipe tappings are in place, a qualified electrician is available to assist with high-voltage connections, and system scheduling is planned to enable the pump to run for several hours during an efficiency test. During a test, we measure the pump's efficiency over a range of flow rates to produce a set of performance curves. TheYatesmeter comes with all of the instrumentation needed for a test. For each pump tested, we develop a Performance Evaluation Report that includes efficiency, power, and head-flow curves, as well as test data and measurement uncertainties. A picture is worth a thousand words, but do those words make sense? 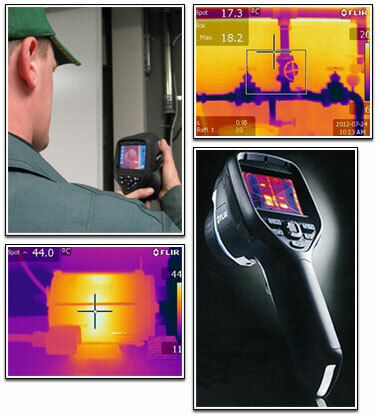 Let ATAP’s Certified Thermographer help! Thermal imaging is a safe and reliable, non-contact method to accurately and efficiently analyse mechanical and electrical equipment. Move beyond guesswork and let ATAP produce a full picture of heat and energy losses in your water treatment plant, sewage lift station or other municipal facilities (i.e. arenas). A thermo scan is not only utilized in the mechanical field, but is extremely effective in analysis of building heat loss. ATAP’s certified infrared imaging services, combines infrared analysis with years of hands-on experience in infrastructure operations that can assist in identifying moisture problems, air leakage, or insulation issues. ATAP not only takes thermo pictures, but also generates a report containing both the thermo and photo images of the same object. The thermo imager can wirelessly communicate with ATAP’s multi-meter and synchronizes infrared data with the multi-meter data (voltage, resistance, and amperage). When coupled with a control scan, minor thermo differences between scans can be detected which may indicate a potential problem such as premature wear of a motor bearing. This can save your utility both money and down time. Complicated water and wastewater treatment processes and control systems required to meet regulatory requirements for water and wastewater has made it difficult for small and medium size utilities to maintain the level of service expected by their customers while maintaining cost effectiveness. ATAP Infrastructure Management Ltd. offers systems operation and maintenance assistance through customized programs suited to your community and system needs. 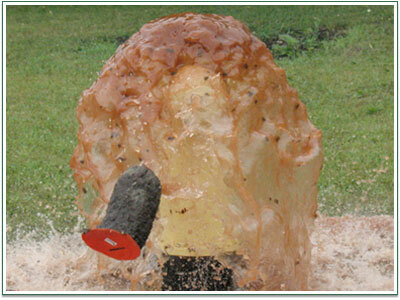 Are your potable water mains being cleaned sufficiently? Uni-directional flushing is an effective way to clean water mains to maintain water quality and system capacity. By isolating runs through systematic opening and closing of mainline valves, a higher water velocity is achieved which, in turn, provides better scouring of pipes and uses less water volume. This high-speed flushing maximizes the shear velocity near the pipe wall, producing a scouring action that can effectively remove sediment deposits, solids accumulations, and biofilm. ATAP Infrastructure Management Ltd. uses its flush trailer mounted metering system which is equipped with flow control and ultrasonic measuring that enables the technician maintain the required velocity in the community's system. Mains are flushed using a minimum velocity of 2 m/s. The volume of water is in the pipes are changed a minimum of three times in each flush section. The trailer is designed to disperse flow directly into sanitary or storm sewers eliminating any erosion issues. Among its advantages, uni-directional flushing can help improve water quality by restoring disinfectant residual, reducing bacterial re-growth, eliminating taste and odour problems, and reducing disinfectant demand throughout the system. These benefits prolong the life expectancy of the distribution system and reduce the potential for waterborne disease outbreaks. Do your Water Distribution Operators and Fire Department staff know your hydrant flow rates and understand hydrant operation? Not recognizing or practicing correct hydrant operation, pressures, & flows can have extremely dire consequences on your potable water system. In the past, Fire officialshave collapsed water mains; backflow conditions have contaminated entire Community water supplies; and costly excavation of water lines and appurtenances have occurred. You need the information and training for proper operation of your distribution system. ATAP Infrastructure Management Ltd. provides hydrant flow metering services beneficial to municipal and industrial clients. Using the National Fire Protection Association (NFPA) 291 Standard, our Technician uses a pitot gauge to measure the hydrant pressure while at the same time recording static pressures on residual hydrants. ATAP determines flow after calculating coefficient losses from the hydrant and provides finished reports detailing the data collected. The information can then be used to colour code hydrants, ascertain fire pump outflows, and obtain favourable insurance rates. ATAP can also provide the technical expertise to train Fire Personnel and Waterworks Professionals in the operation of hydrants. The difference in procedure of gate and compression style hydrants is very important and can be very expensive if not followed. As well, ATAP can also administer instruction to your community on yearly, seasonal, and emergency maintenance, draining, flushing, and other operational issues. ATAP Infrastructure Management Ltd. (ATAP) provides flow metering services beneficial to municipal and industrial clients. Our technicians can measure raw sewage flow, combined effluent flow, and municipal storm water runoff. Flow surveys, combined sewer overflow (CSO) monitoring, plant flow studies, and wastewater treatment studies can be undertaken, utilizing new metering technology. ATAP will provide finished reports incorporating detailed graphs to facilitate interpretation of the data collected. 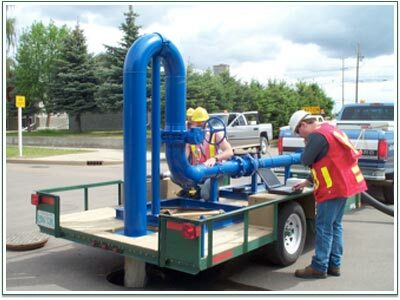 ATAP technicians use a portable area velocity open channel flow meter which can be operated over extended time periods to log level, velocity and water temperature in open channels, partially full sewer pipes and surcharged pipes without a flume or weir. Our flow meter utilizes a submerged ultrasonic sensor to continuously measure both velocity and level in the channel. ATAP uses advanced software to set logger intervals, download log files and view level, velocity and water temperature reading in real time. Our flow reports include minimum, maximum and average flows, calculated flow totals and conversions between common measurement units. Accurate data collection and interpretation is the key to monitoring system usage, and to identifying and preventing problems before they escalate. ATAP can provide the technical expertise to ensure data is collected correctly and that information is presented in a manner that satisfies our clients' needs for useable and timely information. Do you require the Technical assistance to determine operational deficiencies in your facilities and the skill to carry out upgrades? 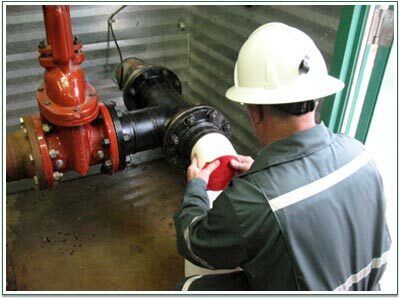 ATAP Infrastructure Management Ltd. has certified personnel that are highly experienced in the evaluation, maintenance, repair, and installation of water and sewer operational system components. Our Technicians will attend your Community to conduct on-site system evaluation. In a comprehensive document, the findings are reported along with recommended options for improvements and current cost estimates. Upon authorization to proceed, ATAP's qualified personnel would repair the identified problems. This may be accomplished through maintenance, parts repair, or complete replacement. Once finalized, the Technician will test all components to ensure system operation and compliance. An overview of system changes will be formulated for the Community and can include Operation and Maintenance Manuals, on-site Operator training, and Standard Operating Procedures (SOPs). Our Technicians can also conduct peer reviews of contractor equipment & installation, and confirm correct operations. ATAP has the qualified trade personnel capable of completing all aspects of evaluation, maintenance, repair, and installation from simple tasks to complete plant retrofitting. The majority of O&M manuals are generic data sheets with little or no Operational value. From a maintenance standpoint, they are difficult to use and waste staff time sorting through data not relevant to the problem. ATAP Infrastructure Management Ltd. can provide O&M manuals that are developed from the Operators perspective. The manuals are developed in the field with the input of facility staff. The Manual may be provided in a binder and electronic format which makes modifications to the operation or equipment updates easy and fast. Step operation procedures along with pictures may be provided to minimize mistakes and errors when working under emergency conditions. Water or Wastewater Treatment Facility: overview of the water or wastewater facility and general description of the process. Process: description of process can be used as a refresher for present staff and/or training manual for new staff. Operating and Shutdown Procedures: describe start-up procedure and operational shutdown procedures for processes & equipment. Equipment & Systems: provision of equipment descriptions and systems including supplier data. Maintenance: provision of Check lists, including points to be lubricated, wear points to be inspected and adjusted. Troubleshooting: provision of spreadsheet outlining step by step procedures to follow for various equipment failures including alarm response. Spare Parts Inventory: Identify required spare parts for critical areas and processes that could potentially "shut you down". Safety: identification of maintenance material and recommendations. The rapid advances in technology, communications, control systems, and the addition of intelligent switching devices combined with the continuous growing demand for all services to be automated, tend to leave our control systems inadequate - not large enough for new process or just dated and out of support. You need to expand your system, upgrade the system, or make process changes to the control system. troubleshooting of existing problematic systems. Whatever your instrumentation or control system needs, ATAP has technical experts to meet your comprehensive needs. Are your equipment operators certified competent? Occupational Health & Safety Regulations (2007/08) required that by October 9, 2008 all employers have conducted an examination of the skills for each operator permitted to operate power mobile equipment. This competency is monitored by a Certified Power Mobile Equipment Operator Evaluator. ATAP Infrastructure Management Ltd. can help with your PME Operator Evaluation or we can Train your Trainer. Our evaluator has successfully completed the Equipment Operator Evaluators Program and has over 18 years experience operating municipal heavy equipment. We can provide on-site instruction and assessment of your equipment operators, saving you time and the travel expenses of your operators. ATAP can also teach your Trainers to evaluate their own staff. ATAP can tailor the training to the needs of your community. Equipment operators must complete both a practical and a theory test on each piece of PME to achieve their mandatory certification. Evaluators are taught how to asses the skills of PME Operators and grade accordingly. ATAP utilizes the course manuals, modules, and tests designed by the Saskatchewan Heavy Construction Safety Association. Upon completion, your operator will be issued a card and certificate signifying satisfactory skills achieved on the equipment that he or she operates. Proper operation and maintenance of water and wastewater treatment systems, both at the plant and out in the distribution and collection systems requires competent people. Properly trained staff is essential to the safe and successful operation of any system. Hands on training along with understanding the importance of regulatory requirements can not be overstressed. ATAP can structure training to meet your needs. Whether it is site specific on a particular process, safety issues, refresher courses on various aspects of your operation or to qualify staff members for Certification. 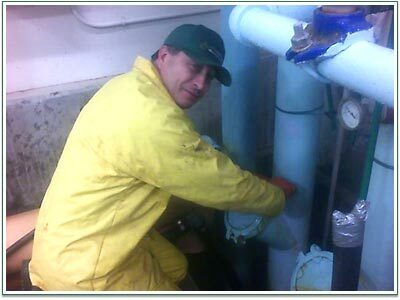 Water systems: distribution mains, valves, fittings, service connections, maintenance, operation and repairs. Also, fire protection elements would be included such as hydrants, standby pumps and equipment use and maintenance. Sewage treatment: mechanical treatment plants, lagoons, controls, pumps, equipment and building maintenance. Water treatment: operation and maintenance of groundwater and surface water processes, repairs and emergency situations. Do you know how effectively your groundwater system is performing? Over time, flow from groundwater sources can change. Your aquifer may consolidate, encrustations can develop on the screens and casing, and pumps experience wear leading to possible failure. Communities need to know how efficiently the system is functioning to prevent these disturbances and to meet Regulatory Requirements. 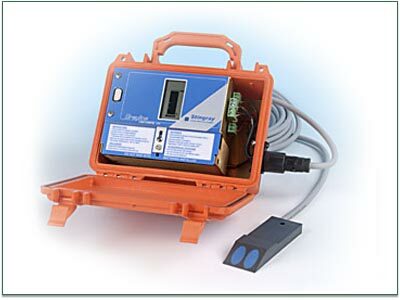 ATAP Infrastructure Management Ltd. uses the Solinst Water Level Meter to meet your level monitoring needs. 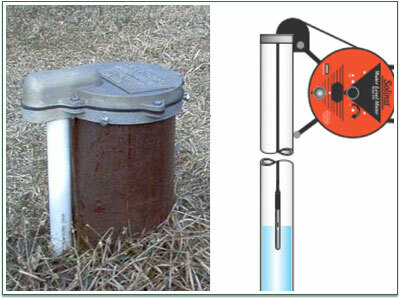 The Solinst provides accurate water level measurements in areas such as wells, boreholes, standpipes, and piezometers. The attached probe signals measurement of the level to within millimetres. ATAP will attend your Community and conduct on-site tests to retrieve your level measurement. Static and dynamic well depths, groundwater levels, boreholes, monitor wells, water towers & standpipes, reservoirs, and piezometers can be monitored. Our experienced Technicians capture the data and analyze the results to prevent costly repairs, interrupted service, poor water quality, or to improve the operation of your system. Do you get taste and odour complaints on your drinking water? Is it discoloured with high bacteria levels or low chlorine residuals? Your cure can be as simple as using a few polyurethane foam swabs to remove the causes of theses complaints. Sludge can build up in your distribution system over a period of time, caused by iron and manganese settling in the water mains. It can also be due to iron bacteria ‘eating' the iron of your water mains. Bacterial growth can also cause sludge. As a result, the water may have taste, odour, colour, or high bacterial level problems resulting in increased chlorine usage. Rust and scale can build up on the sides of the pipes, decreasing their size and reducing the amount of water that can flow thus increasing your energy cost to pump water to your consumers. 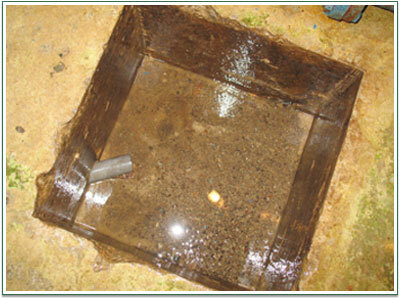 Swabbing removes the sludge and much of the scale and tuberculation from the pipe walls. This procedure improves the carrying capacity of the water main and helps to maintain the quality of the water between the Water Treatment Plant and the consumer's tap. ATAP provides your Community with the technical expertise to carry out swabbing operations. We can also train your Waterworks Professionals in these techniques. ATAP also utilizes a Ditch Witch locator to track the beacons placed in swabs, ensuring a thorough pipe cleaning and no accidental disruption to your system. Is your water quality deteriorating with chemical and process costs rising? With today's increasing chemical and utility costs it is more important than ever to streamline your Municipal operations. Proper function and maintenance of treatment plant process and equipment is essential to producing high quality water at a reasonable cost. ATAP Infrastructure Management Ltd. will provide your Community with a skilled technician to evaluate your facilities and optimize their operation. ATAP supplies the Community with a detailed site report containing any applicable process or chemical changes, maintenance issues, and cost estimates for upgrades. Our technician trains your operational staff to recognize indicators, ensuring your Municipality maintains its high standard of water quality with a minimum of service interruptions as cost efficiently as possible. Is your water quality degraded because of the condition of your storage facility? Raw and potable water reservoirs allow for storage of water to meet the operational requirements of your Community. Unfortunately, these same retention chambers can deteriorate that water causing upset conditions. Storage facilities provide the environment and detention time for suspended particulate to settle, and biological activity & chemical reactions to occur. ATAP will counsel with the Saskatchewan Environment EPO (Environmental Protection Officer) to restrict advisories during draining of the reservoir. The tank is removed from service and cleaned. The technician will visually inspect the storage facility for structural defects as well as mechanical operation of all appurtenances, and document in a letter report. The reservoir (potable water) will then be disinfected, filled, and put back into service, monitoring to ensure successful operation.